Hawk Flying Solo is a solo acoustic act based out of the Soulard neighborhood located in St. Louis, mo. Hawk Flying Solo enjoys playing all kinds of american music, including blues, rockabilly, jazz, swing, classic country, & pop. His seasoned vocals and guitar tone has been compared to eric clapton's, one of his biggest musical influences. 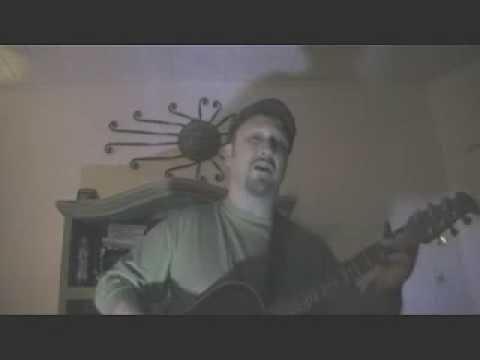 A smooth acoustic style that is very entertaining and appeals to a broad audience. 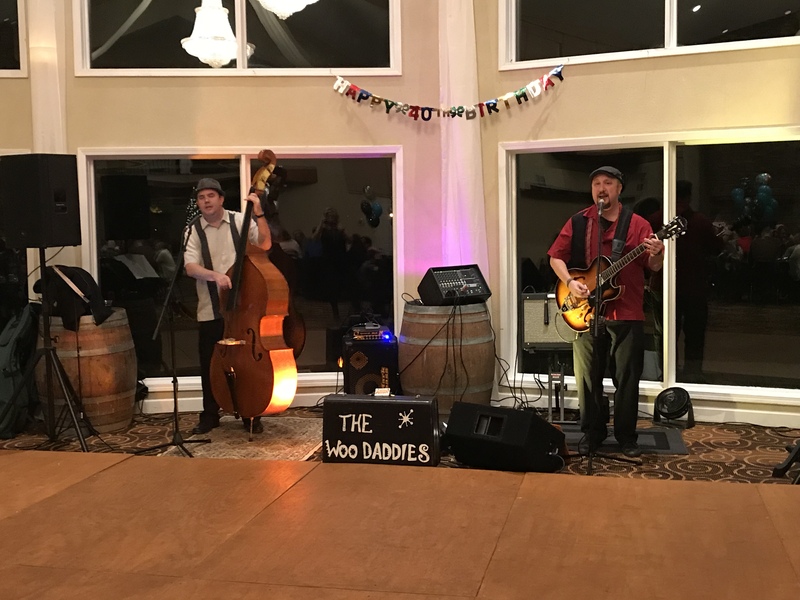 A unique song list with a variety of musical flavors can help provide a cool ambience to your next event. Hawk Flying Solo brings many years of experience with reasonable rates. The guys did an amazing job. The performance was excellent with good song selection. It was just what we wanted. I will definitely have them perform for us again in the future. Great entertainers and super personable! We absolutely loved them! Definitely recommend them for anyone looking for a band. Thanks for the nice review, David! Much appreciated. HAWK FLYING SOLO BRINGS MANY YEARS OF EXPERIENCE WITH REASONABLE RATES. AN ENTERTAINING SOLO ACT THAT INCLUDES ALL KINDS OF AMERICAN MUSIC, INCLUDING BLUES, ROCKABILLY, JAZZ, SWING, CLASSIC COUNTRY, & POP. HIS SEASONED VOCALS AND GUITAR TONE HAS BEEN COMPARED TO ERIC CLAPTON'S, ONE OF HIS BIGGEST MUSICAL INFLUENCES. HAWK FLYING SOLO ENJOYS TAKING REQUESTS AND SONG IMPROV. A UNIQUE SONG LIST WITH A VARIETY OF MUSICAL FLAVORS THAT CAN PROVIDE A COOL AMBIENCE TO YOUR NEXT EVENT! HAWK FLYING SOLO IS A SOLO ACOUSTIC ACT BASED OUT OF THE SOULARD NEIGHBORHOOD LOCATED IN ST. LOUIS, MO. HAWK FLYING SOLO ENJOYS PLAYING ALL KINDS OF AMERICAN MUSIC, INCLUDING BLUES, ROCKABILLY, JAZZ, SWING, CLASSIC COUNTRY, & POP. HIS SEASONED VOCALS AND GUITAR TONE HAS BEEN COMPARED TO ERIC CLAPTON'S, ONE OF HIS BIGGEST MUSICAL INFLUENCES. 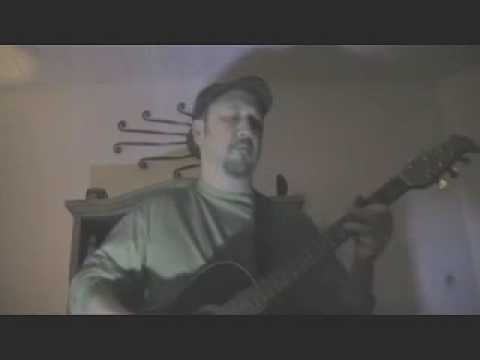 HAWK FLYING SOLO HAS A SMOOTH ACOUSTIC STYLE THAT IS VERY ENTERTAINING AND APPEALS TO A BROAD AUDIENCE. HIS PERFORMANCES CAN VARY FROM SHOW TO SHOW, SINCE HE ENJOYS TAKING REQUESTS AND SONG IMPROV. 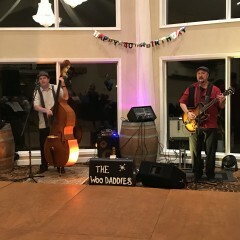 A UNIQUE SONG LIST WITH A VARIETY OF MUSICAL FLAVORS HELP PROVIDE A COOL AMBIENCE TO YOUR NEXT EVENT. MANY YEARS OF EXPERIENCE WITH REASONABLE RATES. LET HIM HELP SPICE UP YOUR NEXT PARTY EVENT!